> Products>Commentary>New Testament>Burkitt's Expository Notes on the New Testament + Sermons and Commentaries of Thomas Manton 7 Vol. Burkitt's Expository Notes on the New Testament + Sermons and Commentaries of Thomas Manton 7 Vol. 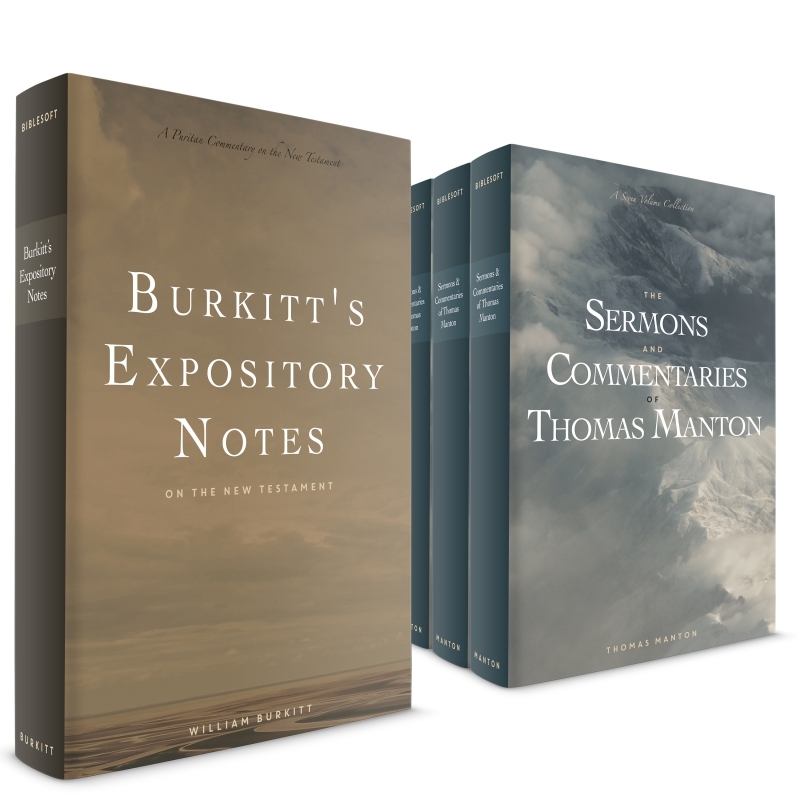 Enjoy Burkitt's full expository commentary on the New Testament and 7 volumes of expository sermons by Thomas Manton! This bundle brings together two powerhouse contemporaries who were both well-known and well-respected for their expository preaching. Burkitt and Manton were like two sides of the same theological coin. This collection brings them together to add time-tested sermons and commentaries to your PC Study Bible library. William Burkitt, noted 17th century biblical scholar and expositor, shares his practical observations in his verse-by-verse commentary Expository Notes on the NT. Covering all 27 books of the NT, he leaves no chapter unexamined. Burkitt's unique take on expository writing is both refreshing and simplistic. He takes a verse and intricately breaks down each 'practical observation' into a convenient bullet point. This approach provides a form that will cause the reader to examine even the smallest detail of a verse that otherwise may be missed in a cursory reading. Thomas Manton, known and praised for his expository preaching, this collection contains hundreds of pages of sermons and commentary on grace, justification, the book of James, the book of Jude, and more. Manton's unique sermon style reads more like a verse-by-verse commentary as he often devotes an entire sermon to a single verse of scripture. In PC Study Bible, we have added special tagging to allow you to link to and follow along with these verse-by-verse writings.